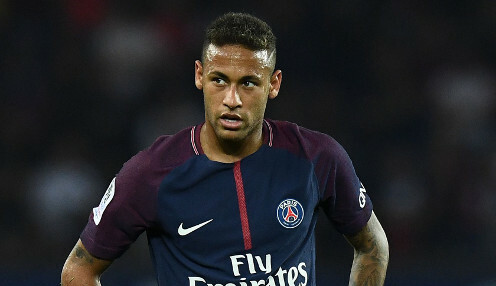 Paris Saint-Germain star Neymar has revealed he cried for two days after suffering a broken metatarsal bone in his right foot last month. The Brazilian forward, who has been a key figure for the Ligue 1 outfit since leaving Barcelona, has been ruled out of action until April with the injury. This is the second time Neymar has had the same injury after suffered a metatarsal brake in February last year, which raised some questions on whether he would be able to feature at the 2018 World Cup in Russia. Neymar has admitted it has been much tougher this time around to come to terms with the enforced break from football. "This time I had a tough time getting over it," the 27-year-old told Brazilian TV channel Globo. "I spent two days at home crying. "The first time I hurt myself I said, 'I'll have an operation, it has to be fixed as quickly as possible'. I wasn't sad." Neymar will miss PSG's Champions League last-16 tie against Manchester United, which the French side lead 2-0 after the first leg at Old Trafford, with the second encounter in Paris on 6th March. PSG are 12121/1 to win the Champions League this season.